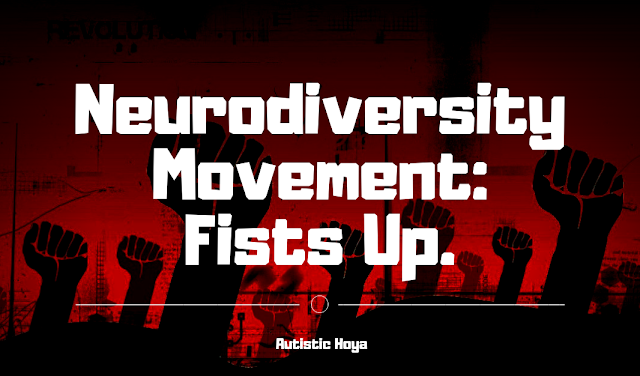 Autistic Hoya: The neurodiversity movements needs its shoes off, and fists up. Fascinating as usual. I've missed your posts. Yet again, I find your writing and views contemplative and enlightening. By and large, my philosophy aligns with yours, but you still nearly always write something that challenges my perceptions and forces me to look at things from new angles with new emphases. This is a precious gift you give to your audiences, and I am deeply grateful for it. And stimming is not a choice for many - it’s an inherent mode of being in the world! Anger in the way you raise is centred on love. I am angry because I love so much. Adam, as well, is angry. I am always in awe with the way his anger is measured in the sense that he knows his life depends on others. If only the world would understand how important this is, this survival, this interdependence. We send forth our anger in the wings of love.